The network already has enough details about the smartphone Samsung Galaxy A50, but data on the display has not yet been. Thanks to the tests conducted by the Federal Communications Commission (FCC), now also became known and the size of the screen diagonal. According to the FCC, the length and width of the smartphone are respectively 158.5 and 74.5 mm. The diagonal of the case is 165 mm, and the diagonal of the screen itself is 158 mm or 6.22 inches. Thus, the smartphone will receive an AMOLED screen of 6.22 inches. Also, the FCC documents say that the smartphone supports Wi-Fi 802.11 ac and Bluetooth 5.0. The smartphone will ship with an EP-TA200 power pack of 15 Watts. 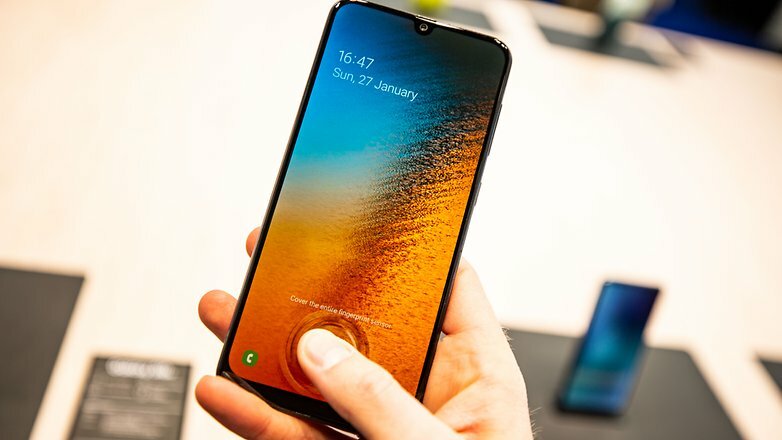 Other sources attribute the smartphone to the eight-core single crystal platform Exynos 7 9610, 6 GB RAM and 64-128 GB flash memory, a triple camera, a 4000 mAh battery pack and Android 9.0 Pie.